Following the Easter theme it’s time for a puppet. Many four year olds love making and playing with puppets. Much younger children can have fun with them too and even a baby may giggle as you make the puppet seem to talk. For those too young to manage the cutting out of a cardboard shape it will be a task you do together while older children can cut and paste using light weight card and coloured paper. The addition of cotton wool fur, pipecleaner whiskers and joggle eyes add to the effect but your child may prefer to have a technicolour rabbit using felt tip pens or crayons. The options are endless but the addition of a piece of cardboard tube or stiff cardboard turns the animal shape into a puppet. 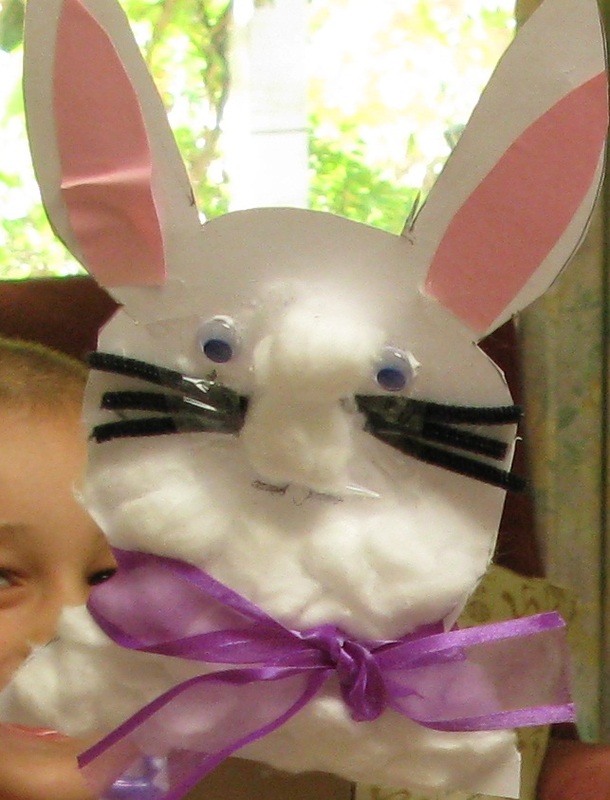 Together you may like to make your puppet sing the Peter Rabbit song.